British official photograph. Approximately 20 x 15cm (8 x 6"). 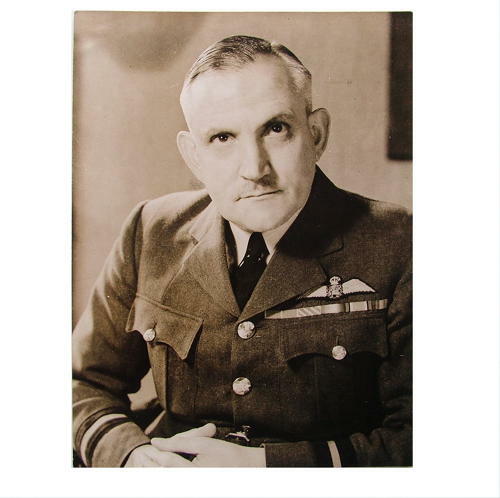 Head and shoulders portrait of Air Commodore F.L. Hopps, CBE, AFC. Caption to rear reads 'Not for publication before the daily papers of Monday July 19th 1943'. Hopps joined the RFC in 1917 and flew with 274 Squadron immediately after WW1. He had attained the rank of Group Captain by 1941 and was Officer Commanding Search & Strike Force for North Russia c. 1942. He was also AOC No. 16 (reconnaissance) Group c. April 1943. Very good condition. Stock code P22477.